TEGO.CLASS offers an easy and quick way to record, manage and evaluate your students’ attendance and absences. 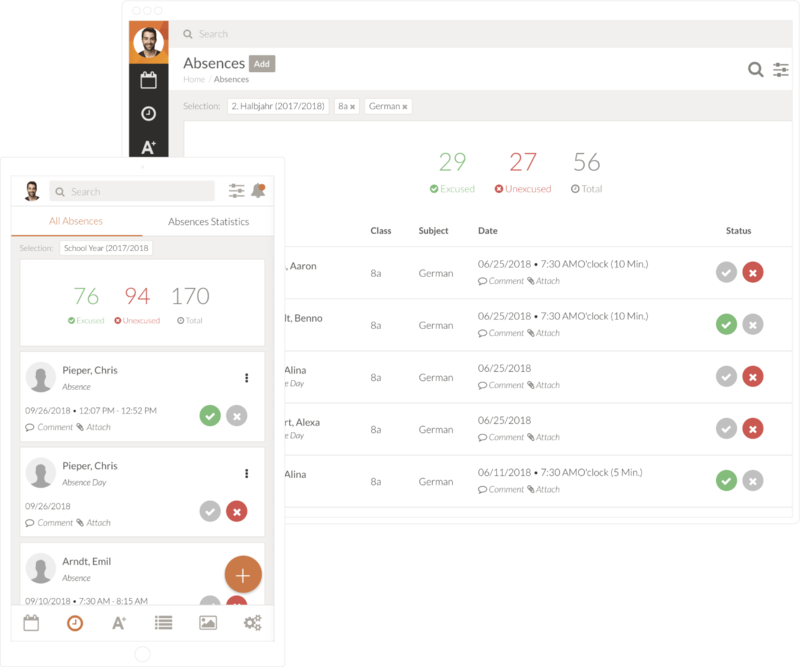 Use TEGO.CLASS to easily access and keep track of all your students’ absences and delays. Sick days, missed periods or delays — use TEGO.CLASS and digitally manage all your students’ attendance information in one place. Review which of your students were absent without permission. TEGO.CLASS automatically sends you reminders which of your students still haven’t handed in a sick note for days or periods they were absent without permission. Easily keep track of missed periods and photograph sick notes on your smartphone or tablet to upload them into the app. 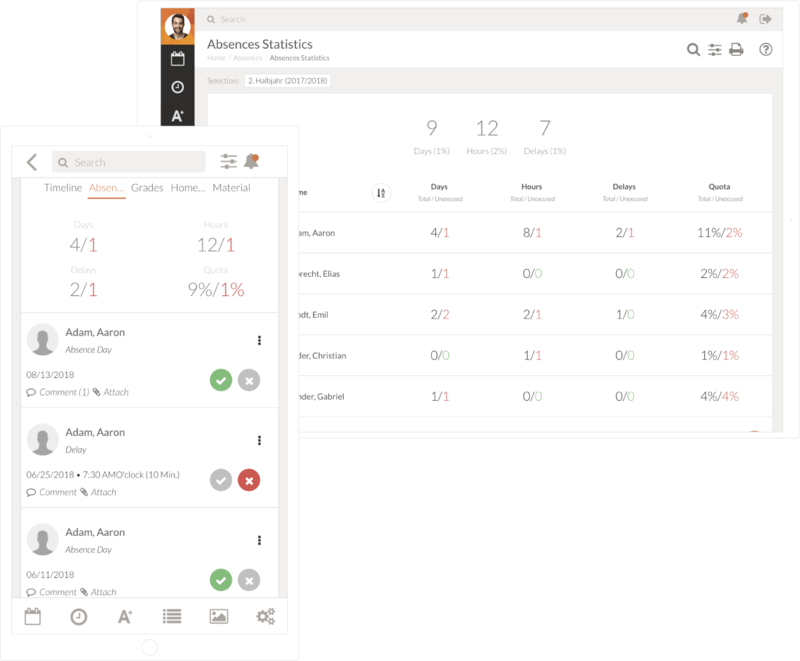 No more going through class registers to manually count every single unexcused absence at the end of the semester or school year — TEGO.CLASS automatically generates and shows you a statistic with all the missed periods and sick days that are still missing a sick note. 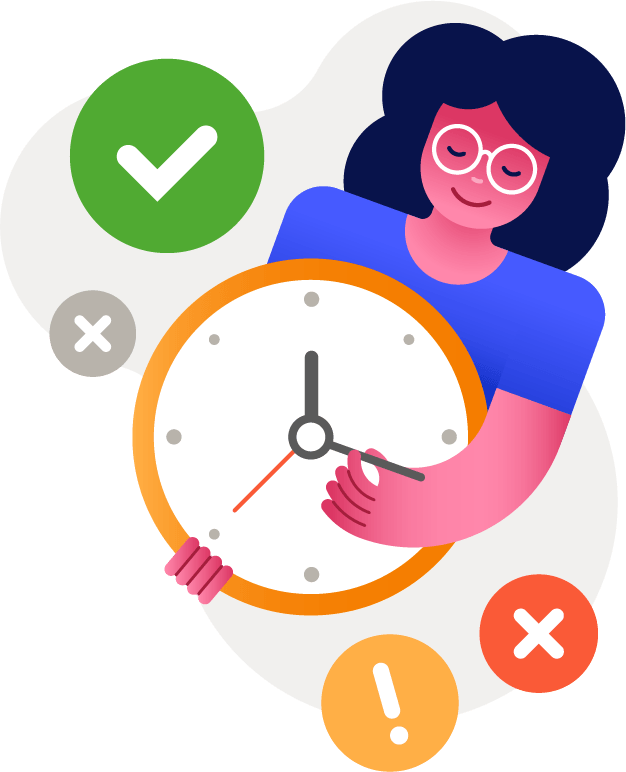 It will also inform you about the amount of absent days, missed periods and delays for each one of your students, automatically calculating individual absence quotes. Use special filters to split absence statistics into different categories such as classes, subjects and semesters.